Opening reception - Sept. 10th, 2009 5:30 - 7:30pm. 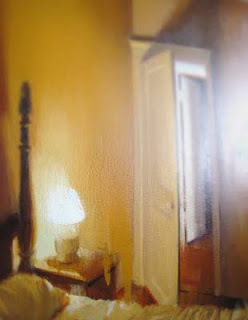 This group of new paintings convey the relationship between exteriors and interiors, while revealing small intimate moments of everyday life. 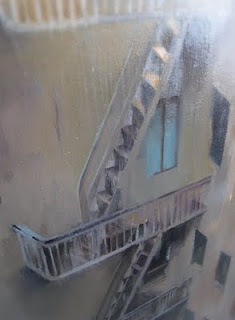 The paintings examine the city in different instances of light, and attempt to describe the connection between interior spaces and the human figure. For the viewer, there is an underlying questioning: What is happening inside? These paintings offer a possibility. Let the paintings speak for itself, I hope you will be able to join me at the opening. The show will hang September through October. For more information about the paintings, please contact info@hespe.com. Many thanks to those whom replied to the last postings, and especially to those whom I visited with. It was great meeting every one of you and I greatly appreciate it. I have a overwhelming amount of material to refer to in the future, thank you.